When the knee bends, the patella slides evenly up and down within a v-shaped groove (trochlea) at the end of the femur (thigh bone). In some people, the patella is pulled out of the groove towards the outside of the knee causing patella instability, sometimes referred to as patella subluxation. Depending on the severity of the patella subluxation, this improper tracking may not cause the patient any problems, or it may lead to dislocation of the patella (where the kneecap fully comes out of the groove). Most commonly, the tracking problem causes discomfort with activity, and pain around the sides of the kneecap. Patella subluxation is a condition that usually affects adolescents, and sometimes younger children. Patellar instability is usually a result of repeat patellar dislocations or subluxations. Initial patellar dislocations usually occur from a violent twist with your foot planted on the ground. The patellar usually displaces laterally. Often the patella slides back into place when you straighten your knee. Some patients have patellar instability as a result of their ‘double-jointedness’. Patella instability or subluxation of the patella may be caused by either a traumatic or an atraumatic event. A traumatic event is when an accident has happened to cause a sudden twisting of the knee. An atraumatic event means that no specific injury has occurred, but there are abnormalities in the gait. 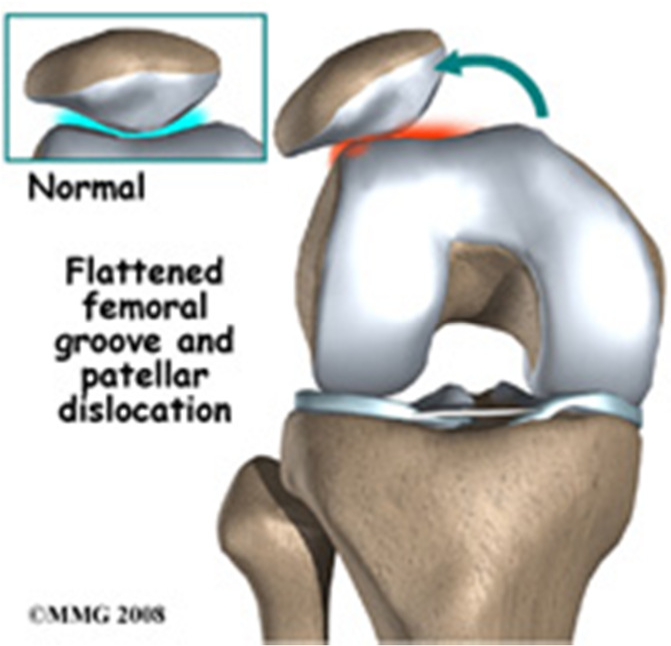 The groove for the patella may be too shallow or the patella is misaligned. What are the typical symptoms of patella instability? Most patients will complain of pain in the front part of their knee especially while climbing stairs or getting up out of a chair. Frequently, the patient will describe events when their knee cap slides out of place. On examination, the knee may be swollen. 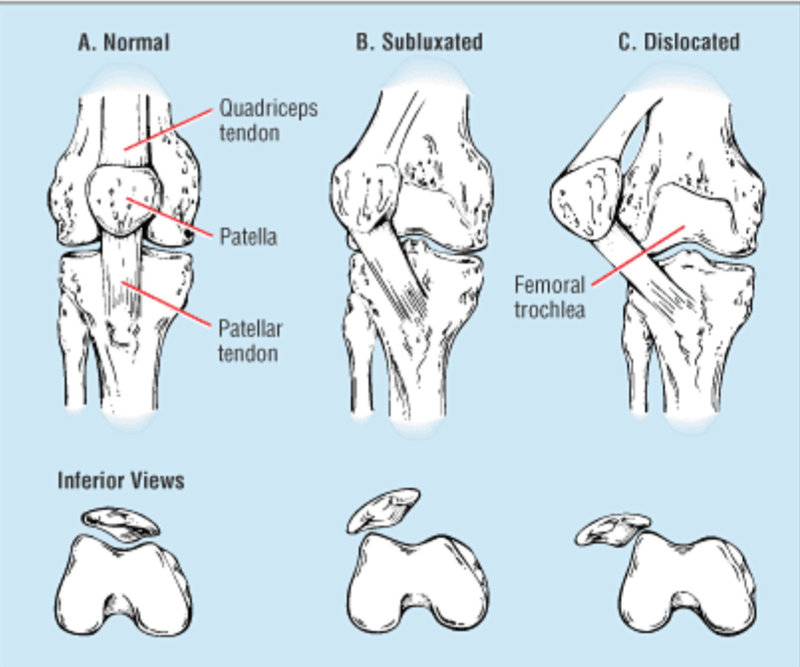 The patella is usually tender and the patient has a positive “patellar apprehension”. X-rays generally show the patellar sitting lateral to the groove or tilted. Physiotherapy – This involves following an exercise program, which promotes the strengthening of the quadriceps muscle to realign the pull on the patella. Also strengthening of the hip abductors and flexors may offer better control of the patella. Bracing – Taping, or the use of a brace on the patella, can assist in some cases, however it is not a long-term solution. Better Footwear – Choosing the correct footwear may help to control your gait while running and decrease the pressure on the kneecap. Surgery is generally only considered in cases where all conservative treatment has failed, although surgery for patella pain alone is rarely indicated. The best indicators for surgery are for the patella that does not line up properly within the femoral trochlear groove, and/or the patella that subluxes or dislocates. If conservative treatment has failed, a knee arthroscopy can be considered. The surgeon will make a small incision in the knee to allow a camera to be inserted. This camera is no wider than a pencil and allows the surgeon to see the structures of the knee and any damage that is present. One common mal-alignment of the patella is the result of too much lateral tension. This pulls the patella out of its femoral groove causing dislocation. The surgeon can perform a lateral release which involves cutting the tight lateral ligaments which then allows the patella to return to its normal position. Often, a lateral release alone is not enough. Many patients that ultimately need surgery require an open patella realignment surgery. This is called a tibial tubercle osteotomy. The tibial tubercle is where the patellar tendon inserts. Tibial tubercle osteotomy involves cutting the tibia tubercle and shifting it medial and sometimes anterior. The tubercle is then held in place with screws. 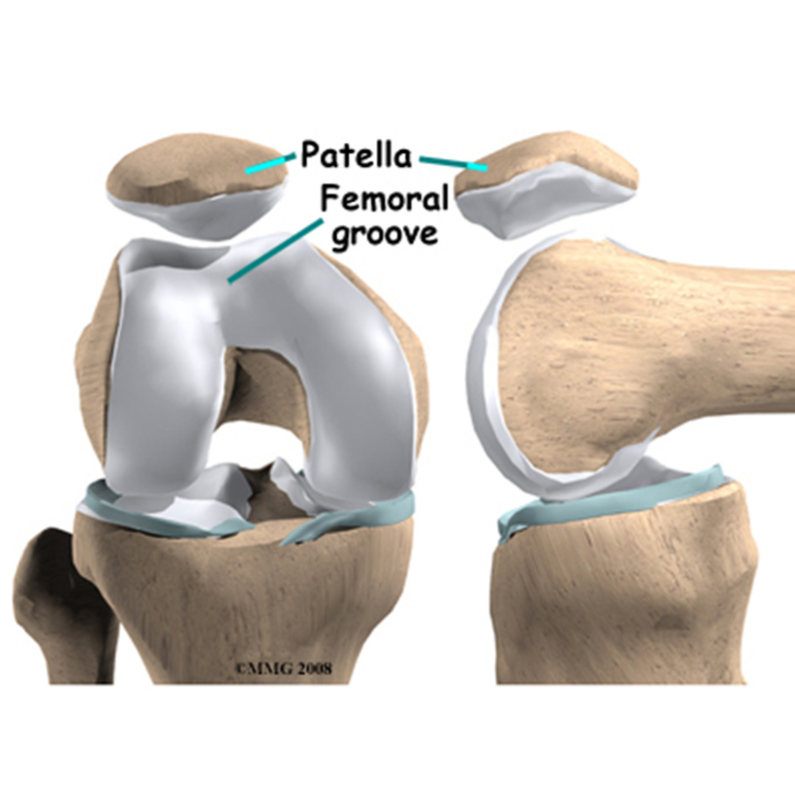 This procedure realigns your patellar so that it sits in the femoral groove. Return to full activity after a tibial tubercle osteotomy is about 4-6 months.